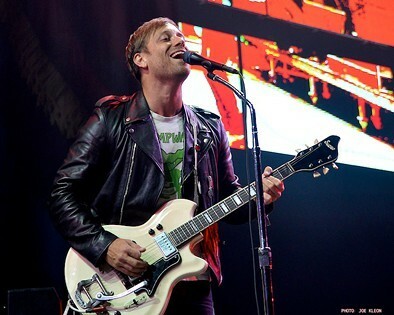 The Black Keys performing at Quicken Loans Arena. 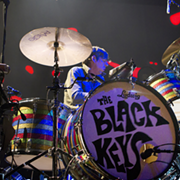 Rolling Stone magazine has just posted a new 12-minute documentary about the Black Keys, the Nashville-via-Akron duo that's become one of the biggest rock bands in the country. 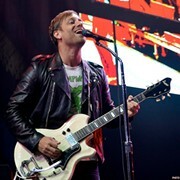 In the video, singer-guitarist Dan Auerbach and drummer Patrick Carney talk about the early days when they played the club circuit in Northeast Ohio. The two lived on the same street in Akron but didn't hang out until their brothers introduced them to each other. "[Auerbach] came down one with his guitar and him and I just clicked," says Carney at one point in the film. They started jamming together and recorded a demo that they shopped to a few different labels. For their eventual CD release party, they played to a crowd of about 20 at the Beachland Tavern. Beachland owners Cindy Barber and Mark Leddy are interviewed in the short film and talk about how the buzz started to build quickly. Thanks to a positive review (penned by Northeast Ohio-based Free Times/Scene contributor Peter Relic) that ran in Rolling Stone magazine, their debut became a hit and the band's never looked back.